Sphero Support and Knowledge Base - What is the Maze Tape and Protractor for in the SPRK+ packaging? 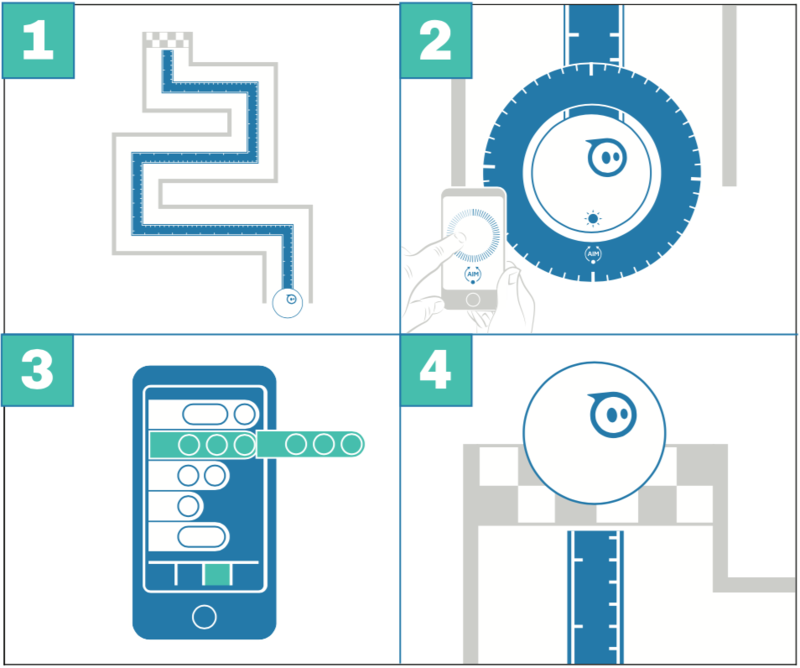 All Categories ​>​ Sphero Products ​>​ Sphero SPRK+ ​>​ What is the Maze Tape and Protractor for in the SPRK+ packaging? What is the Maze Tape and Protractor for in the SPRK+ packaging? These are tools you will use to build mazes that SPRK+ can navigate, with your help! First, layout a maze on the floor using the metric Maze Tape to measure distances. Then use the protractor on each turn to measure the heading changes required. Program your SPRK+ using your measurements and the Sphero Edu app. Finally, run your program to see if it worked.